Tomoya Asano has big plans for a franchise that will grow out of Bravely Default. Keep an eye on Bravely Default, folks, because it seems the upcoming RPG may be the start of something a new RPG franchise... Or at least, that's what Bravely Second producer Tomoya Asano thinks. Given the opportunity, Asano would likely to turn the "Bravely" series into an annual franchise. According to Siliconera, Asano told Dengeki: "Personally, I'm aiming to release a game for the Bravely series at least once a year. So, we'd like to release Bravely Second for sometime in 2014." So far the series seems to building the momentum to support the franchise. Bravely Default has already generated enough interest worldwide to warrant a sequel. Bravely Second will have apparently have features that pull data from players' Bravely Default save data, so North American players should be prepared to hoard those save files when the game comes out. Bravely Default: Flying Fairy will come to North America on 3DS February 7. 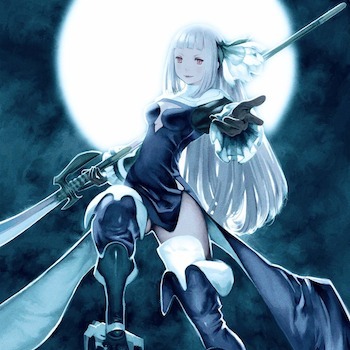 The Bravely Second team is shooting to have the game out in Japan in 2014.